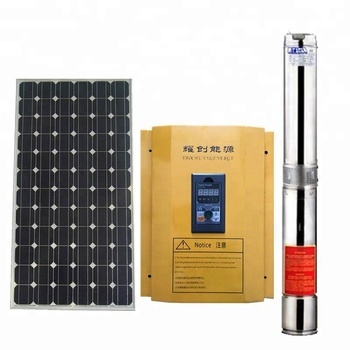 The solar water pump system is composed of solar pump inverter, AC pump, PV array, combiner box, water level switch, distribution box, and mounting bracket. 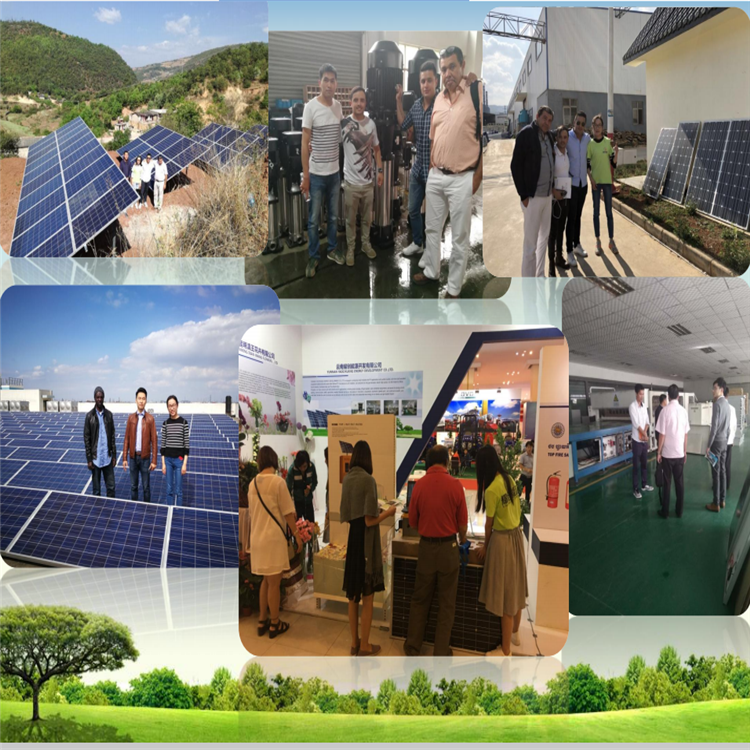 The PV array is composed of many solar panels in series and parallel, and absorbs irradiation from sunlight, and converts into electrical energy(DC). 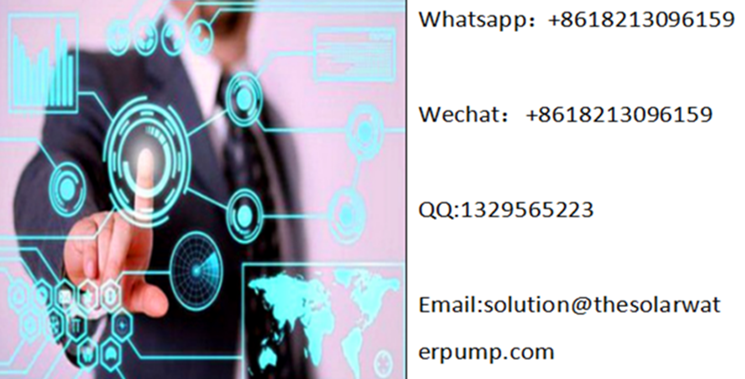 Inverter controls and regulates pumping operation system and converts DC voltage from PV array to AC voltage to drive the AC pump, with the function of MPPT and it regulates the output frequency according to irradiation in actual time to achieve the maximum power. 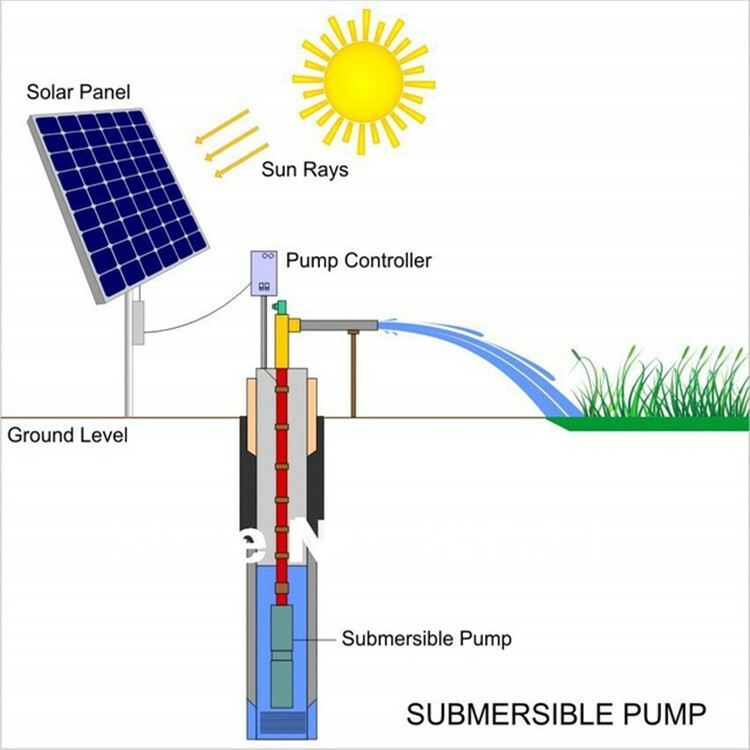 The AC pump is driven by a single or three phase induction motor, draws water from well or river, or lakes, then water reserved on tank / pond for irrigation system or other applications. 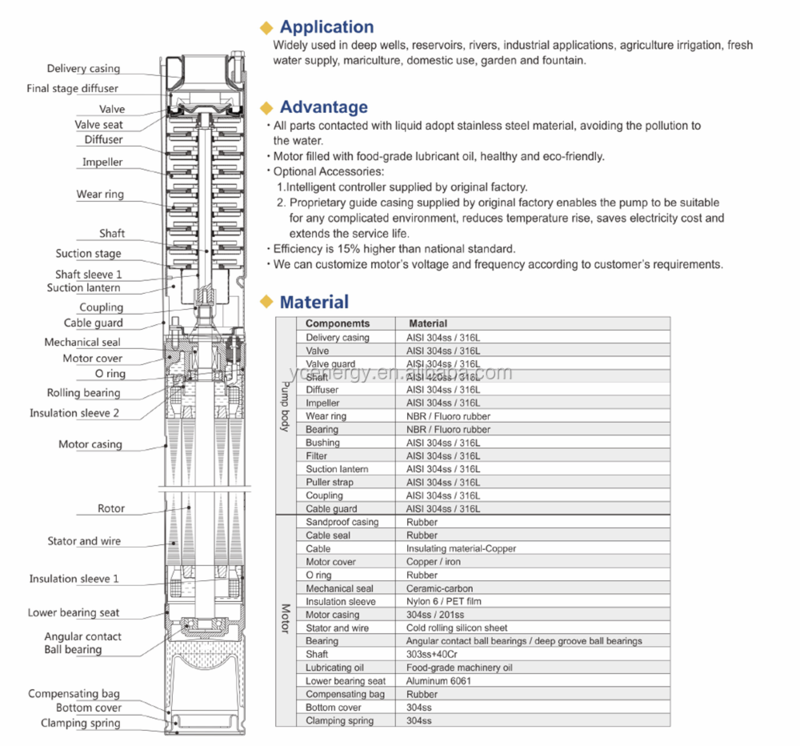 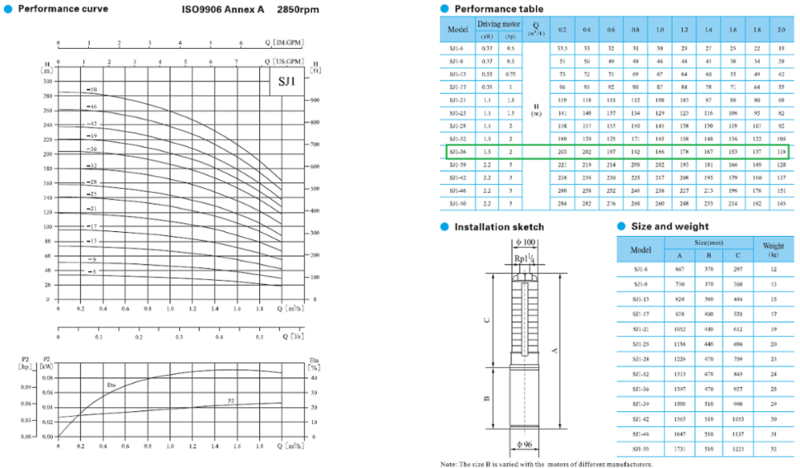 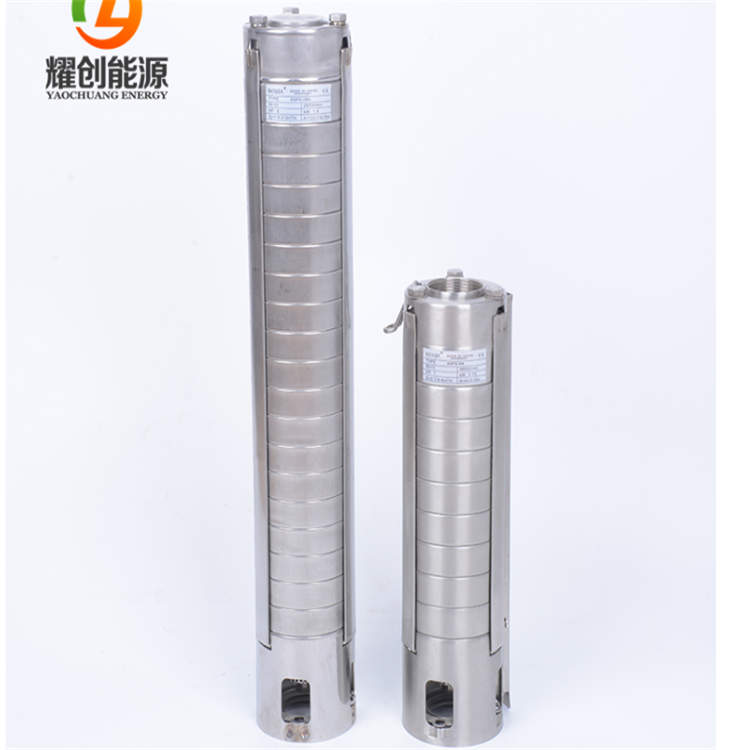 Base on the requirements and installation conditions, different types of pumps will be required. 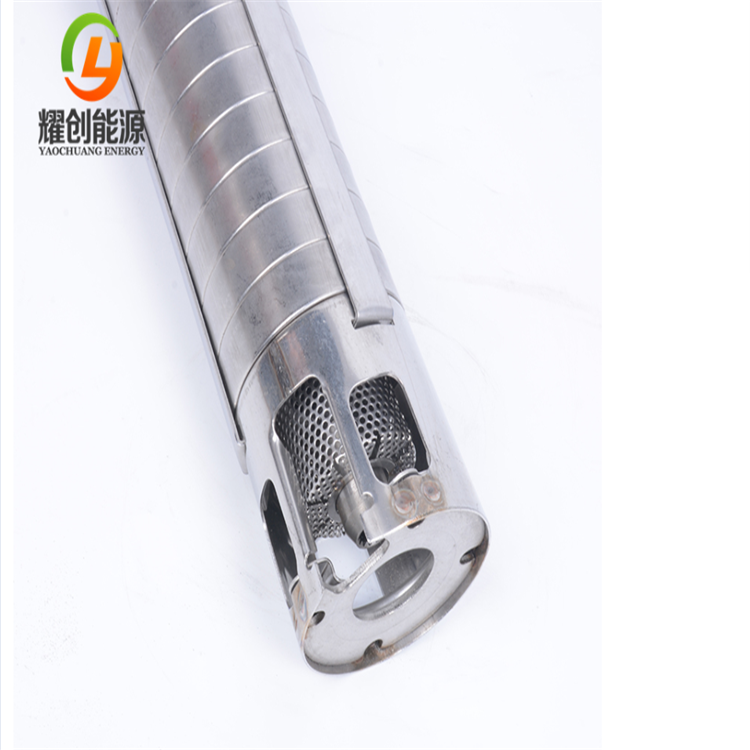 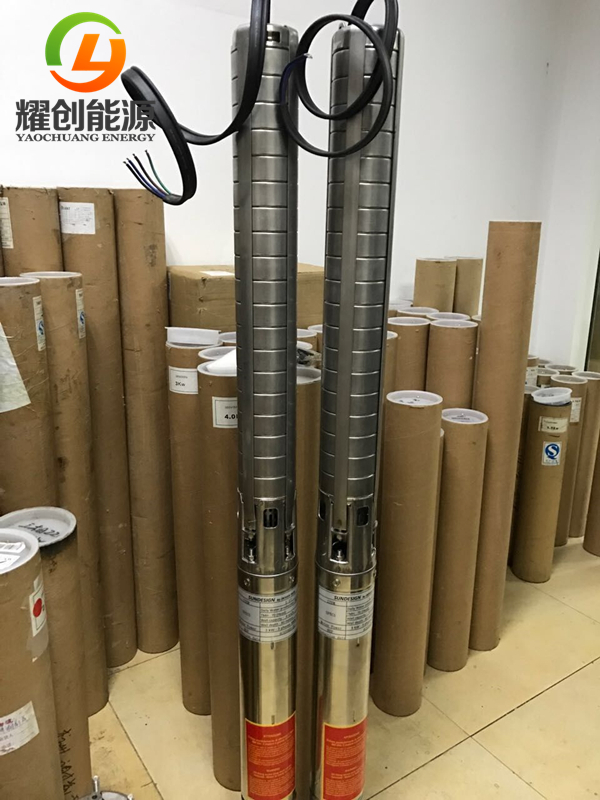 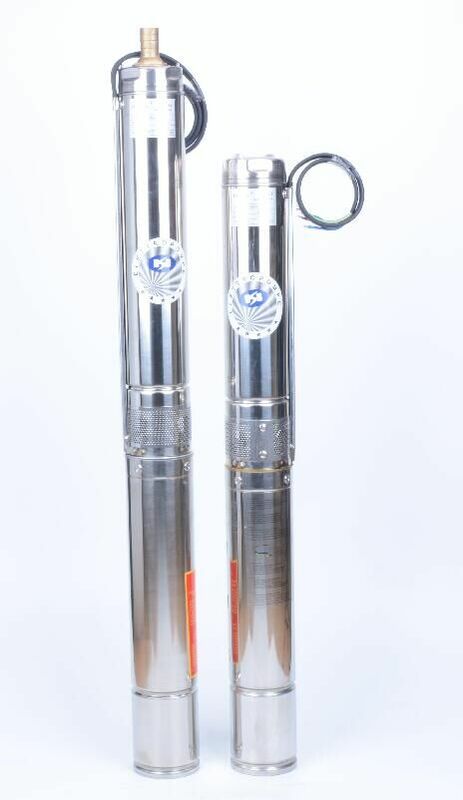 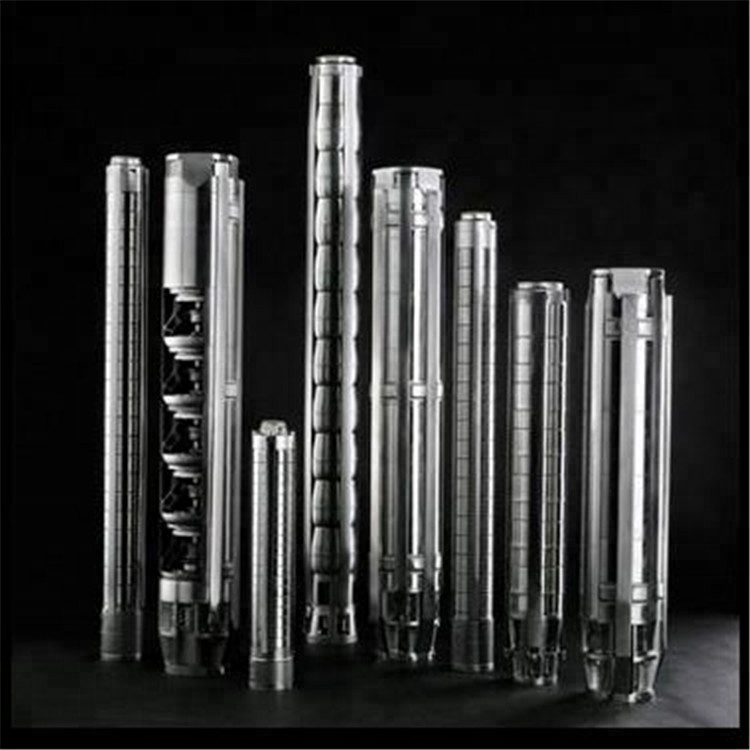 Yaochuang energy submersible is 100% full stainless steel material, safe and durable no matter for agriculture irrigation, or home use water supply. 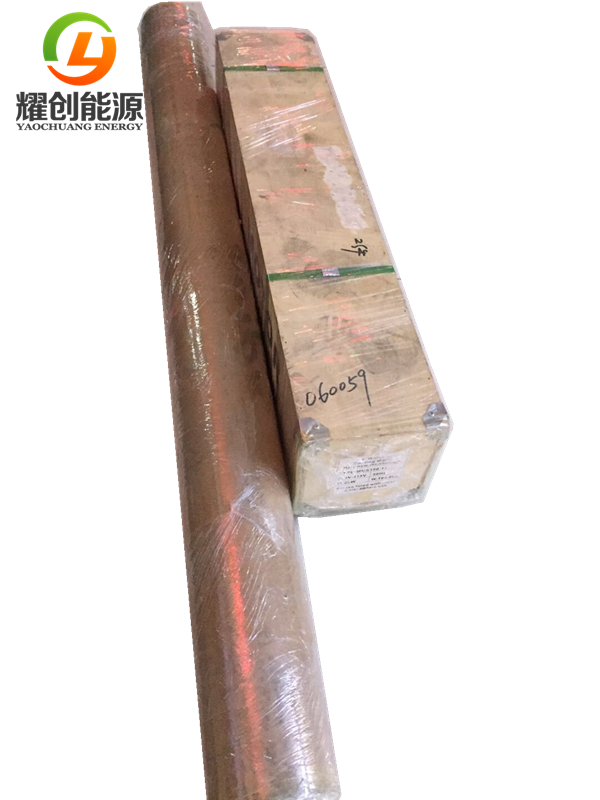 Our factory of solar panel & solar pump is located in Shanghai, the biggest sea port in China makes transport more convenient.